Today, one of the great collections of art in the UK celebrates its bicentenary. Two hundred years to the day of his death, the Fitzwilliam Museum has revealed previously unknown details of the life of its mysterious founder, Richard 7th Viscount Fitzwilliam of Merrion. Research for a new book has shown how his beloved library may have contributed to his death, and how his passion for music led him to the love of his life: a French dancer with whom he had two children, ‘Fitz’ and ‘Billy’. Lord Fitzwilliam died on the 4th of February 1816, and founded the Fitzwilliam Museum through the bequest to the University of Cambridge of his splendid collection of art, books and manuscripts, along with £100,000 to build the Museum. This generous gift began the story of one of the finest museums in Britain, which now houses over half a million artworks and antiquities. Other than his close connection to Cambridge and his love of art and books, a motivation for Fitzwilliam’s bequest may have been his lack of legitimate heirs. The new details of his mistress help to explain why he never married. In 1761 Richard Fitzwilliam entered Trinity Hall, Cambridge, and in 1763 his Latin ode, Ad Pacem, was published in a volume of loyal addresses to George III printed by the University of Cambridge. He made a strong impression on his tutor, the fiercely ambitious Samuel Hallifax, who commissioned Joseph Wright of Derby to paint a fine portrait of Fitzwilliam on his graduation with an MA degree in 1764. Fitzwilliam’s studies continued after Cambridge; he travelled widely on the continent, perfecting his harpsichord technique in Paris with Jacques Duphly, an eminent composer, teacher and performer. A number of Fitzwilliam’s own harpsichord compositions have survived, indicating he was a gifted musician. But from 1784 he was also drawn to Paris by his passionate attachment to Marie Anne Bernard, a dancer at the Opéra whose stage name was Zacharie. With Zacharie, Fitzwilliam fathered three children, two of whom survived infancy – little boys known to their parents as ‘Fitz’ and ‘Billy’. How the love affair ended is unknown, but its fate was clouded, if not doomed, by the French Revolution. We do not know what happened to Zacharie after her last surviving letter, written to Lord Fitzwilliam late in December 1790. Her health was poor, so it is possible that she died in France. However, the elder son, ‘Fitz’, Henry Fitzwilliam Bernard, his wife Frances and their daughter Catherine were alive and living in Richmond with Lord Fitzwilliam at the time of the latter’s death in 1816. It is not known what happened to ‘Billy’. At the age of seventy, early in August 1815, Lord Fitzwilliam fell from a ladder in his library and broke his knee. This accident may have contributed to his death the following spring; and on 18 August that year Fitzwilliam drew up his last will and testament. Over the course of his life he had travelled extensively in Europe; by the time of his death he had amassed around 144 paintings, including masterpieces by Titian, Veronese and Palma Vecchio, 300 carefully ordered albums of Old Master prints, and a magnificent library containing illuminated manuscripts, musical autographs by Europe’s greatest composers and 10,000 fine printed books. His estates were left to his cousin’s son, George Augustus Herbert, eleventh Earl of Pembroke and eighth Earl of Montgomery. But he also carefully provided for his relatives and dearest friends. The family of Fitzwilliam’s illegitimate son, Henry Fitzwilliam Bernard (‘Fitz’), including his wife and daughter, received annuities for life totalling £2,100 a year. 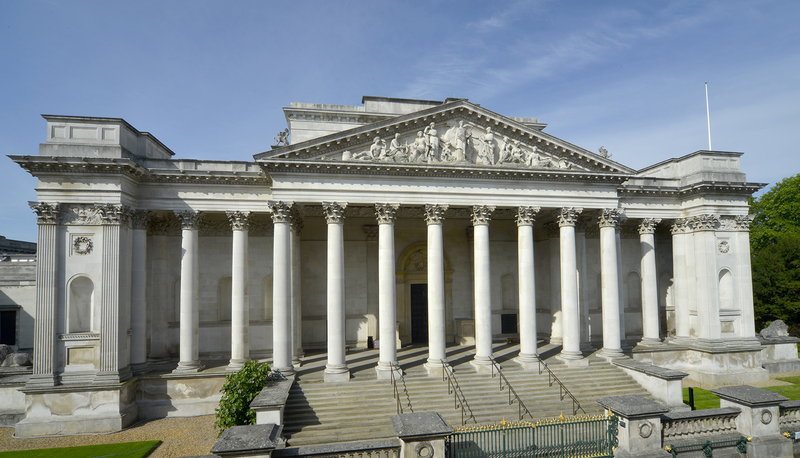 Exhibitions and events for the Fitzwilliam Museum’s Bicentenary will be taking place throughout 2016. 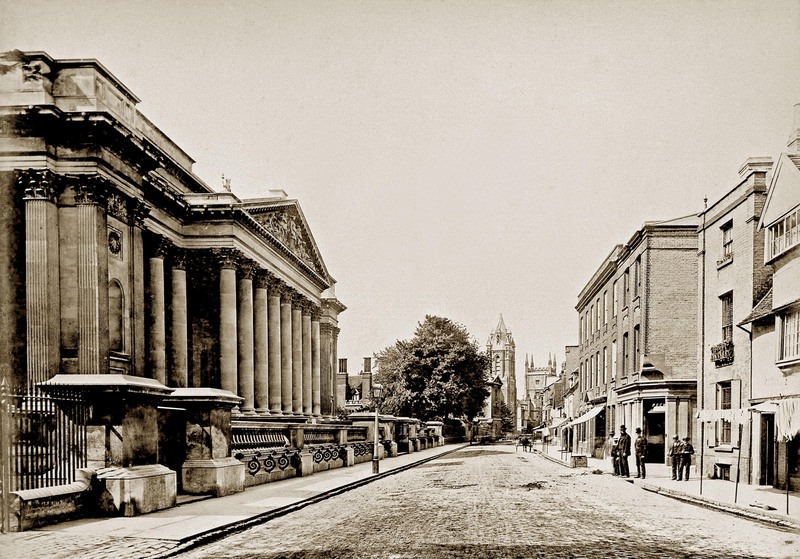 These include two key exhibitions opening in February, a retrospective of its history, Celebrating the First 200 Years: The Fitzwilliam Museum 1816 – 2016, and a major exhibition of Egyptian antiquities, Death on the Nile: Uncovering the afterlife of ancient Egypt. For more information visit www.fitzmuseum.cam.ac.uk.